The John Roche Playground in Northbridge is located at the end of the quiet and narrow Roche Lane. 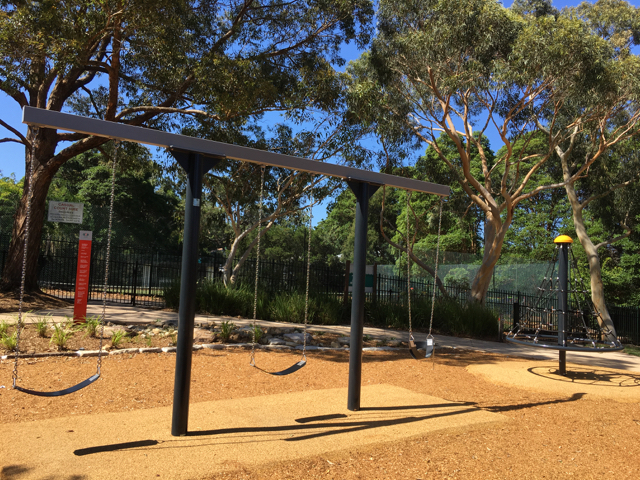 The Willoughby City Council recently finished renovating this playground and we love the Medieval themed park! It has a medieval little horse, a great medieval soldier structure, a climbing net around, a merry go round/climbing structure and a set of three swings. The playground also has a good size sandpit, benches and a picnic table. Although the playground has minimal shade, there are areas where trees provide some shading for little ones. I just wished there was a few more things to do for little walkers but overall little Miss gave it a thumbs up! The playground has a set of three swings - two toddlers/kids swings and one for babies. There is a small walking/cycling path next to the playground, so don't forget your little one's scooter and/or bike. 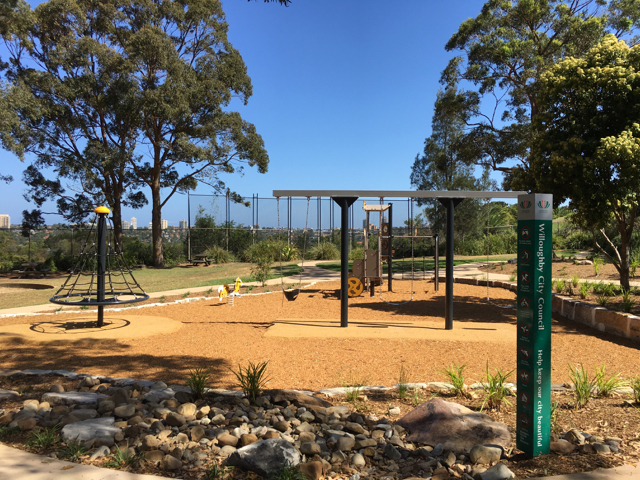 The brand new playground is located next to the Northbridge Golf Club. When you arrive at Roche Lane you might be worried you are lost but just keep going in the no through road and you'll see the playground where you can park your car next to in allocated bays next to the school.